1/4"-100 Fine Adjustment Screws are a standard piece of hardware used in the Photonics lab. 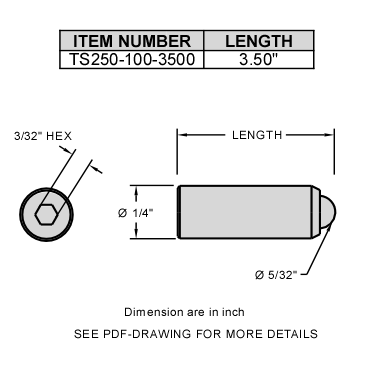 Base Lab Tools offers the finest 100 TPI (254ï¾µm/rev) screws available. Base Lab Tools has brought to the photonics community the worldï¾’s best fine adjustments screws at the unbeatable prices. All of these screws are epoxy free, better than class 3A and designed to be mixed and matched with our 1/4"-100 bushings. 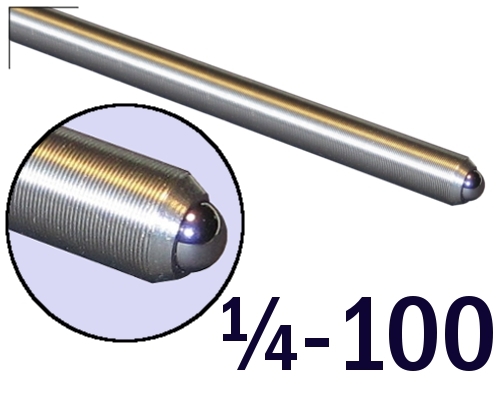 These 1/4"-100 fine adjustment screws are ideal for photonic applications replacing a 1/4-80 thread where the slightly more resolution is needed.